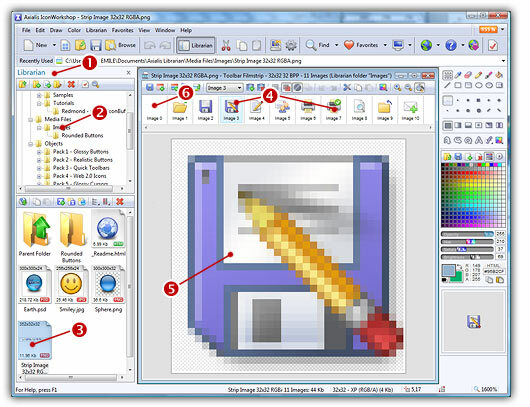 If you're a developper, you probably use toolbars in your applications. 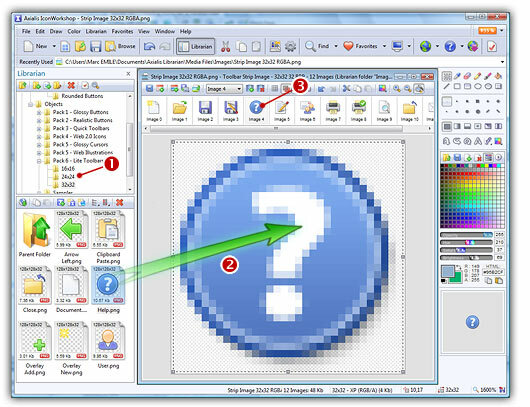 In this lesson, we'll see how to modify/create images used to populate icons in toolbars: image strips. 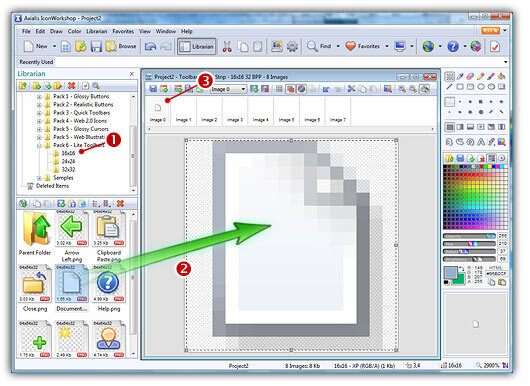 Each command in a toolbars is represented by a button containing an icon. 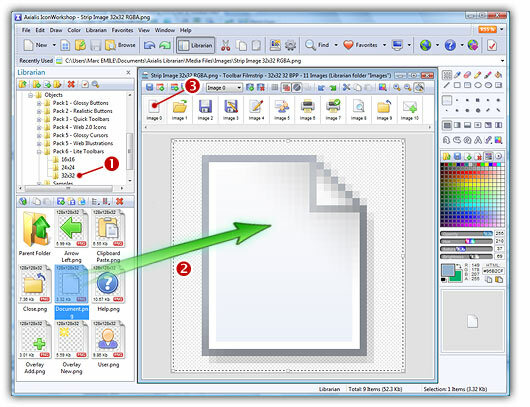 When you create your toolbar, in addition to creating the buttons, you must populate it with the images you want to associate with each button. This is done through Image Lists objects (read more about Image Lists). 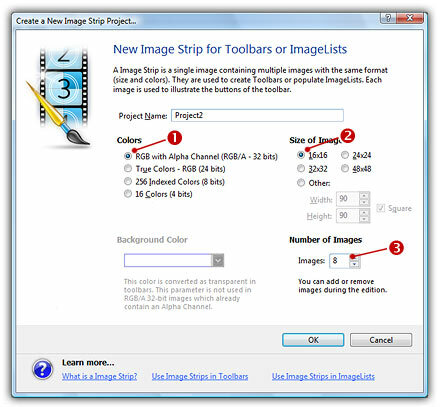 First you must create and populate an Image List, then associate it to the toolbar. 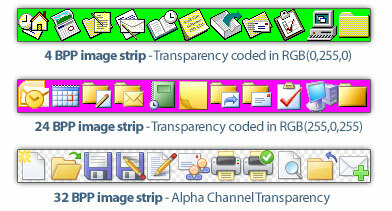 Note that modern UI SDKs and developement libraries such as MFC permit associating the images directly to the toolbars. The Images Lists are created in background, so you don't have to deal with this.